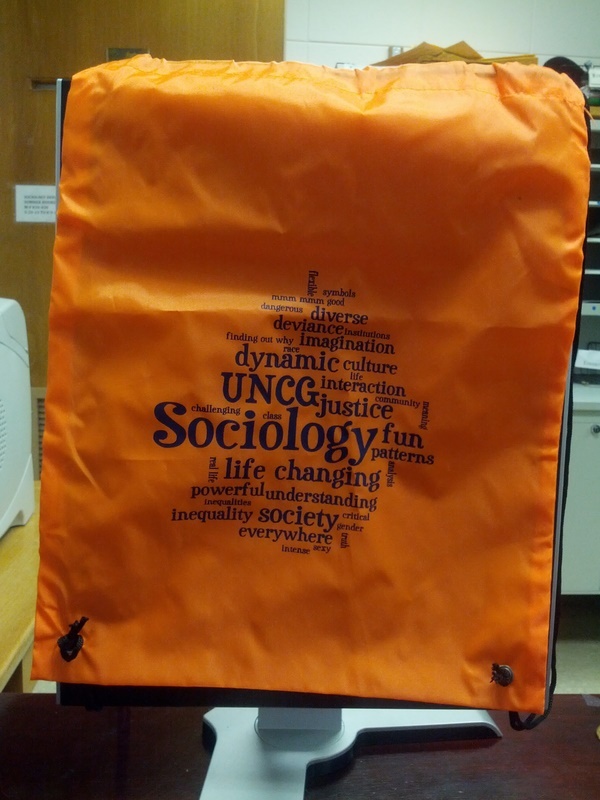 Welcome to Sociology’s centennial year celebration! We invite you to join us for a series of educational and fun events throughout the year. The theme for our celebration year is “Inequality and Social Justice in a Changing World.” We chose this as our focus for the year to recognize the Department’s century-long commitment to educating students about these two central issues in our society and discipline. All of the centennial events will be linked to this theme. We hope to see our current students embrace the opportunities that are afforded to them throughout the year. 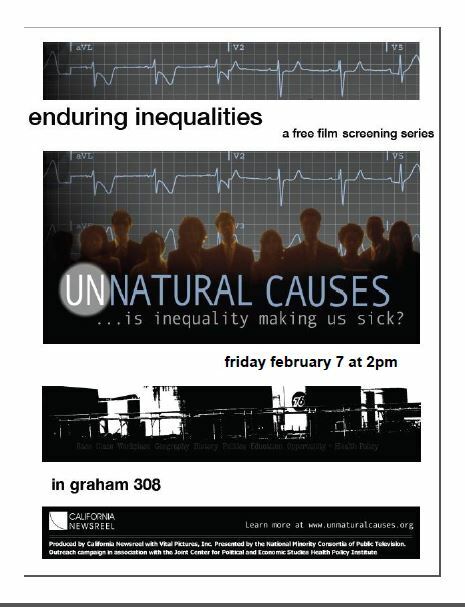 We are excited to see former students who reengage with us through these events. We look forward to reconnecting with old friends and making new friends all year long. We embrace the opportunity this year to serve our community and bring to life the spirit of social justice embodied in our centennial theme. We have partnered with the Interactive Resource Center of Greensboro to provide opportunities for service throughout the year. The IRC assists those experiencing homelessness to create better living and employment circumstances for themselves and their families. Please learn more about the IRC by visiting their website at www.gsodaycenter.org. In order to fully realize the vision we have for our centennial celebration year, we need your help! Bringing to life many of the activities and educational events we have planned takes resources. In this time of shrinking budgets and scarce resources, we need your help more than ever. Please consider a donation to the “centennial fund” via the link on our Department website. 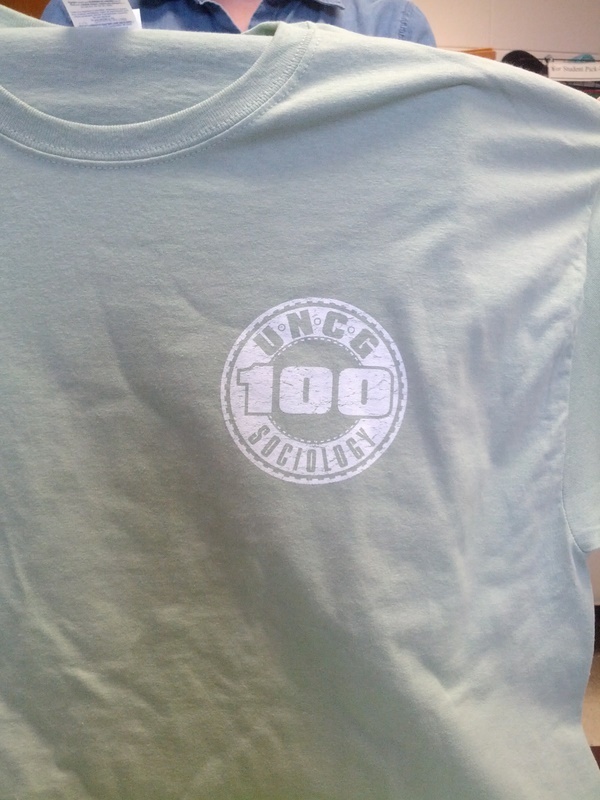 Consider purchasing a centennial t-shirt, tumbler, or tote. All are depicted here. All proceeds go to support centennial events. To donate directly to the centennial fund, click on the yellow banner “Give to this department” at the bottom of the department homepage. You can then designate donations to go directly to the centennial from the ‘gift designation’ drop-down menu. 10-11am, 134 S Elm St in Downtown GreensboroFREE tour for sociology majors only! Arrive at the museum lobby NO LATER THAN 15 minutes prior to the start of the tour. 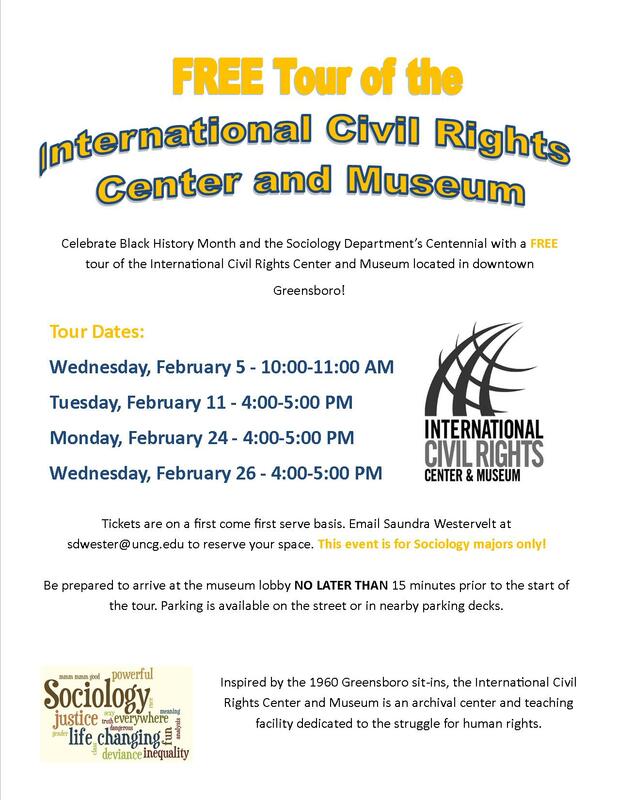 Email Saundra Westervelt at sdwester@uncg.edu to reserve your space.See below for more tour dates! 4-5pm, 134 S Elm St in Downtown GreensboroFREE tour for sociology majors only! Arrive at the museum lobby NO LATER THAN 15 minutes prior to the start of the tour. 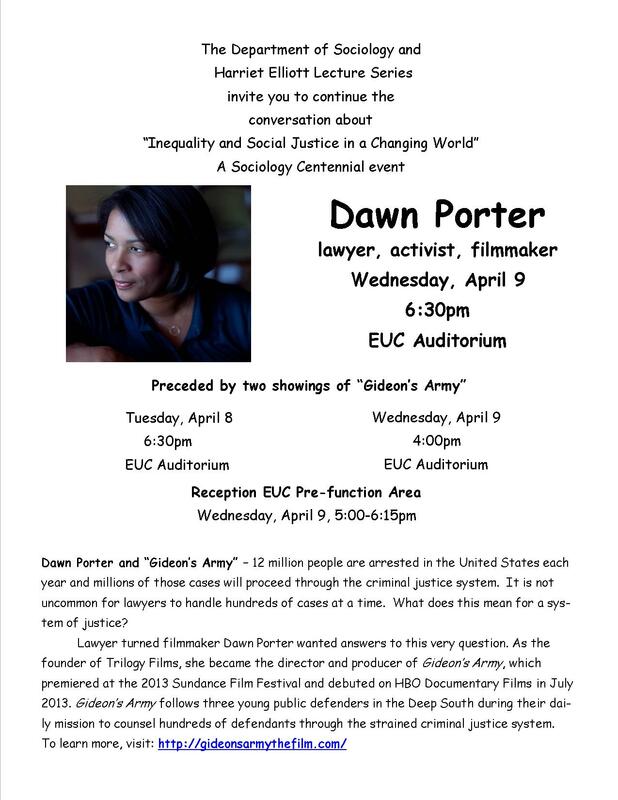 Email Saundra Westervelt at sdwester@uncg.edu to reserve your space. 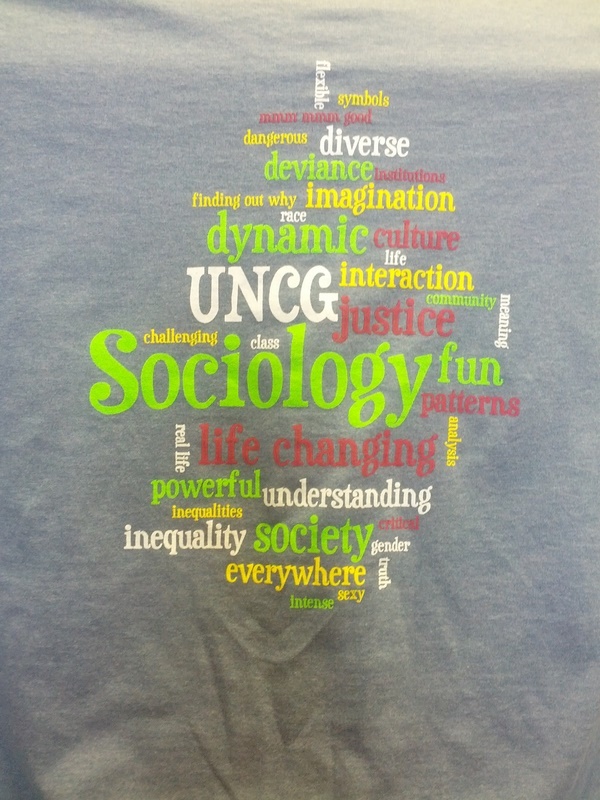 4-5pm, 134 S Elm St in Downtown GreensboroFinal tour date for sociology majors only! Arrive at the museum lobby NO LATER THAN 15 minutes prior to the start of the tour. 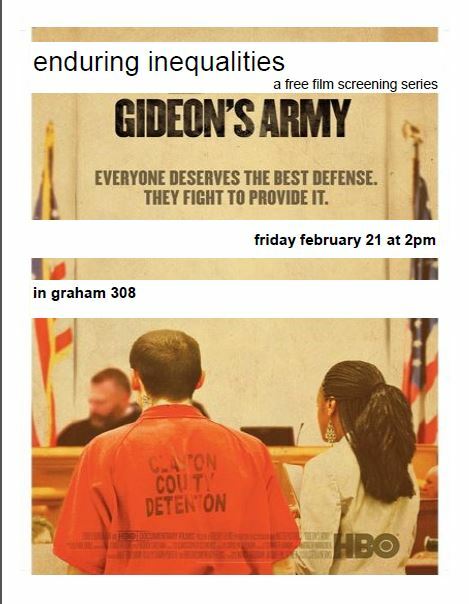 Email Saundra Westervelt at sdwester@uncg.edu to reserve your space. 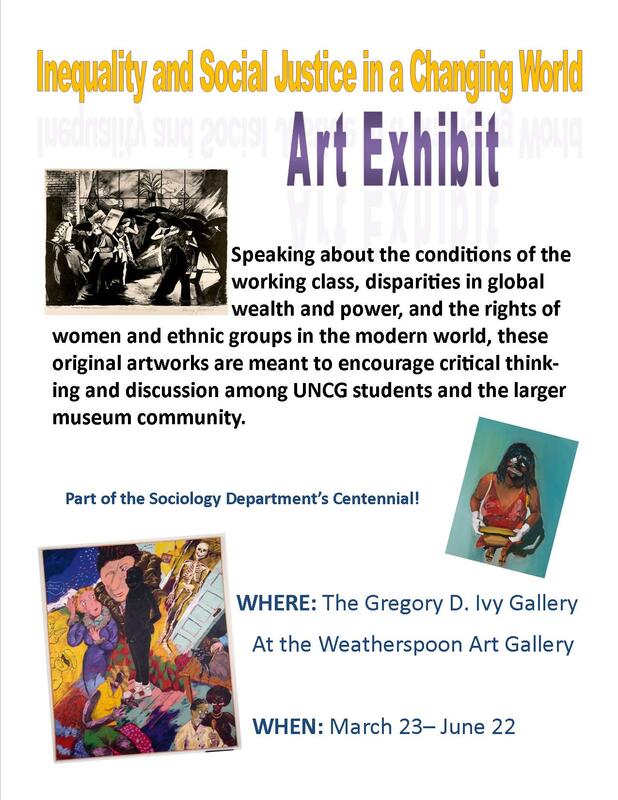 The Gregory D. Ivy Gallery at the Weatherspoon Art GalleryAn art exhibit speaking about the conditions of the working class, disparities in global wealth and power, and the rights of women and ethnic groups in the modern world. 7pm, EUC Auditorium for reception and book signingDavid Leonhardt, collaborator for Class Matters, will be joining the Sociology Department for a brief discussion and Q&A with sociology students. 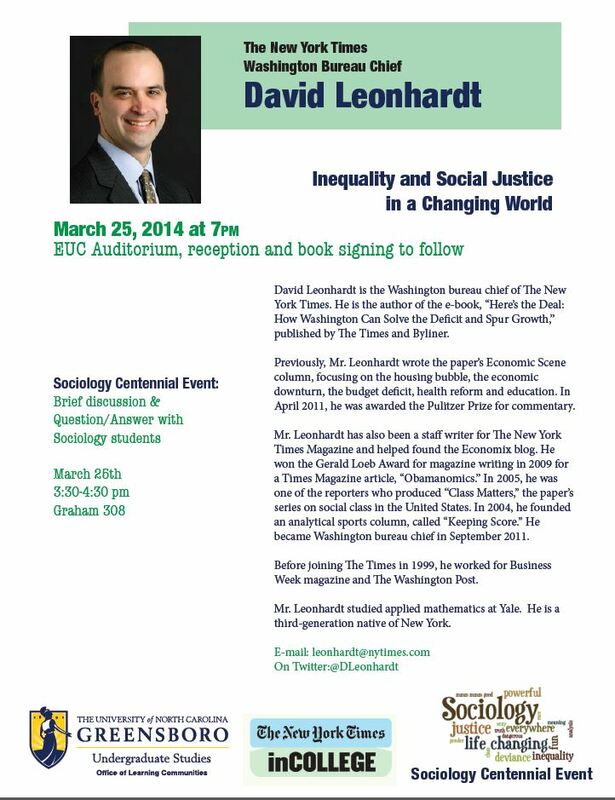 Afterwards, join Leonhardt for a reception and book signing in the EUC Auditorium. David Leonhardt is the Washington bureau chief of the New York Times as well as a staff writer for the New York Times Magazine. 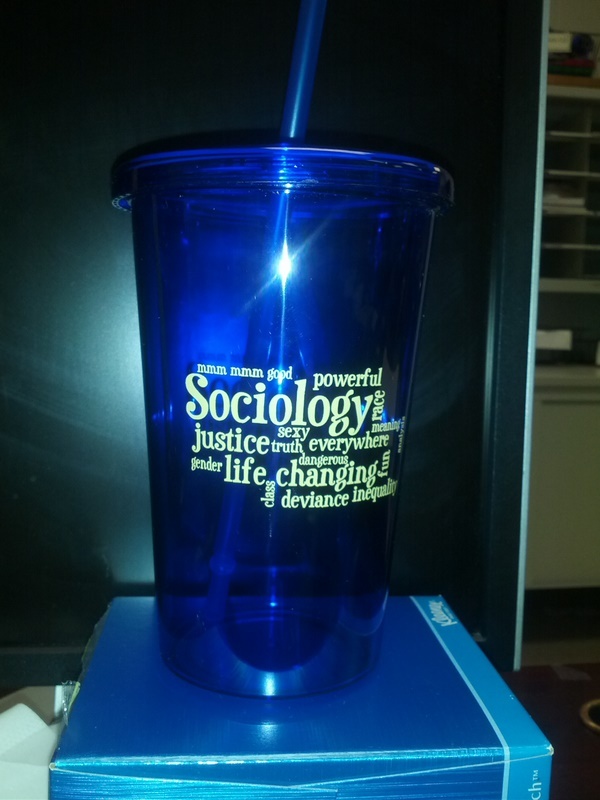 Support Sociology and the Centennial by purchasing a t-shirt, tumbler, or tote. Please contact Saundra Westervelt for further details. Prices include all applicable state and federal taxes. Thanks To Wear Yours on Tate St. for their keen eye for design and overall good humor! 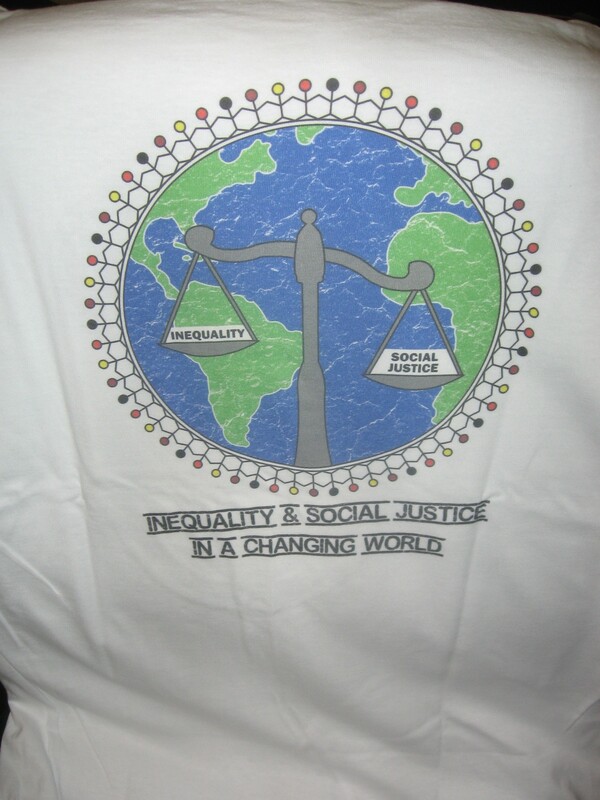 Winner of Sociology Club design contest! Wordle is on the back. Centennial logo is on the front.